Found this Winter Moth (Operophtera brumata) in the house today. It’s not rare, but as a moth that flies from November through January, it is unusual. The males fly up to the top of trees to find the flightless females, who lay their eggs in leaf buds. The moths are native to Europe, but introduced and becoming a pest in North America, where they lack natural predators. The other new species is a moss I photographed on the roof the other day; Grey-cushioned Grimmia (Grimmia pulvinata). 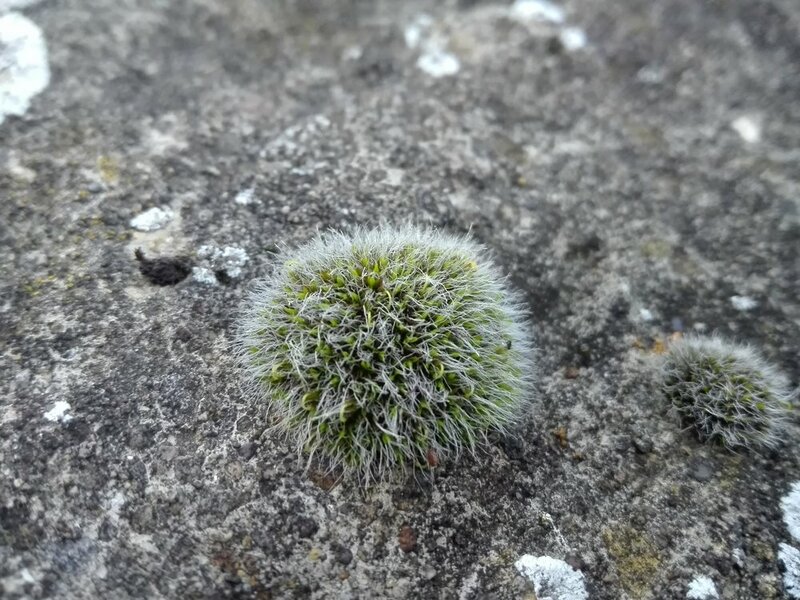 It’s a pretty common moss in fact, growing alongside Redshank Moss in silver fluffy clumps on the tiles.